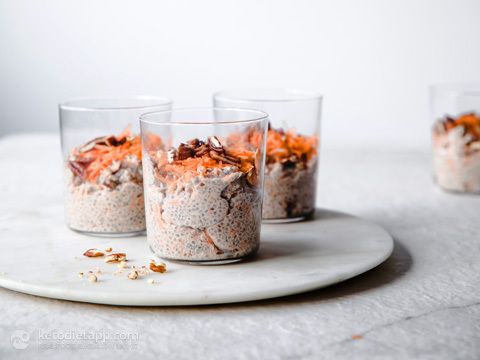 All the flavours of delicious carrot cake in a quick and easy chia jar. 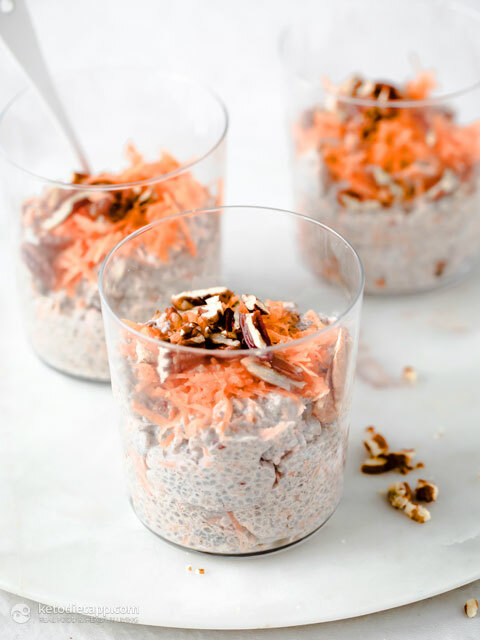 These Low-carb Carrot Cake Chia Jars are a great way to start the day. I’ve made these sugar and sweetener free for those of you who prefer things less sweet, but feel free to add a keto-friendly sweetener to taste if you prefer. 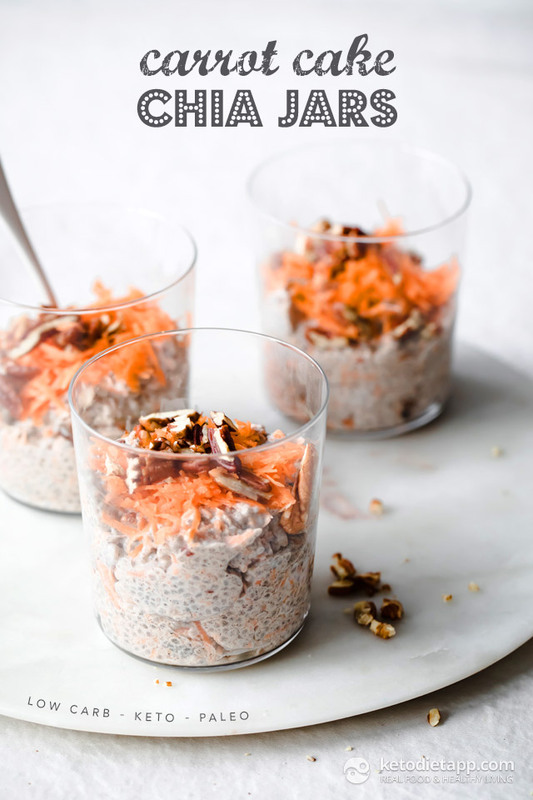 Chia pudding is so creamy and filling and yet super healthy. 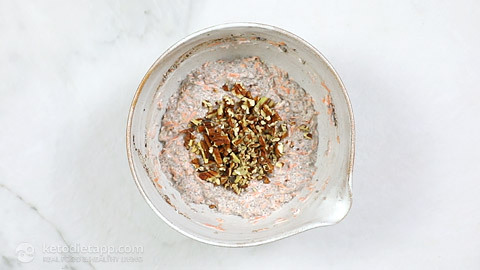 You can also make them dairy-free by using coconut yogurt instead of Greek yogurt. Breakfast or pudding? I love them for both! 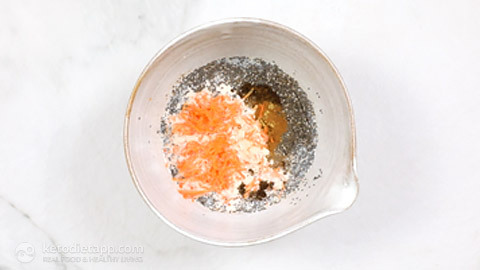 Place the chia seeds in bowl or jar. 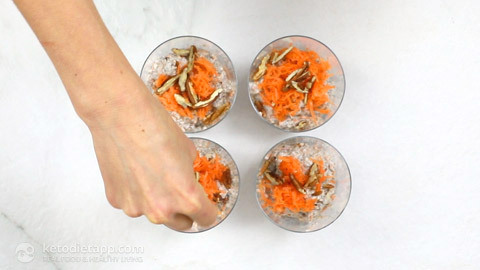 Add the almond milk, spices, vanilla and half the carrot. Stir. 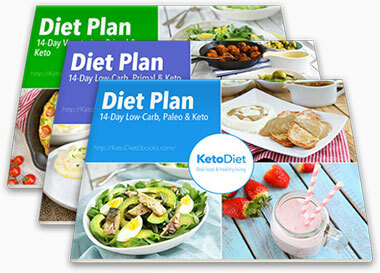 Are carrots keto? 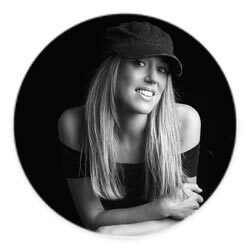 Check out this post (myth number 2). Leave to soak for at least 30 minutes until the chia seeds swell. 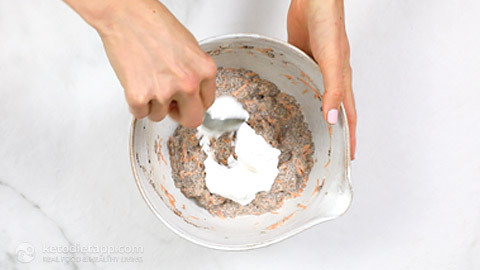 Stir through the Greek yoghurt or coconut yogurt (for dairy-free). Add half of the pecans. Optionally, add a little more almond milk if you like it thinner. 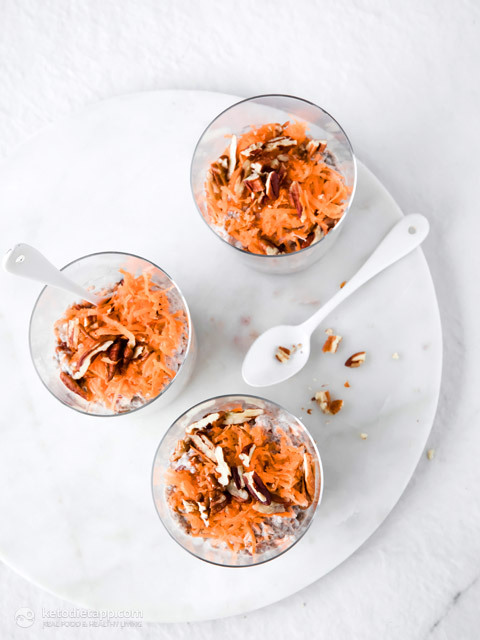 To serve, top with the rest of the grated carrot and chopped pecans. To store, refrigerate for up to 3 days. So loving having a low carb dessert that doesn't need a sweetener to be enjoyable. I love these! Martina, these are delicious! I was craving a dessert like this, so thank you! I was out of nut milk and subbed with heavy cream, and it worked really well, and is still low carb (based on app macros through custom). Thank you again!